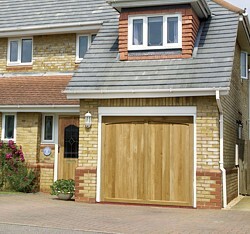 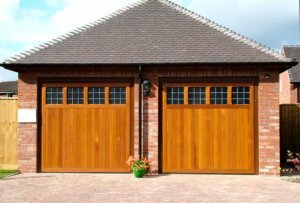 Timber is a beautiful natural material and is it always worth remembering that images in brochures, on websites or photographs of timber garage doors you have seen and like may not always be reproduced exactly the same in another door. 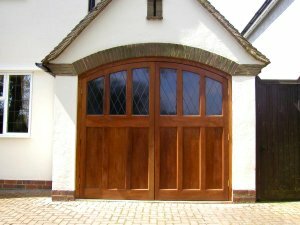 This is because graining, knots and shading will always vary from one door to the next, and is highlighted more on lighter colour finished doors. 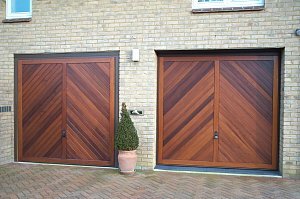 Modern and properly sourced timber treatments can offer very long periods of protection, with nothing more required than an occasional wipe down of the door panel. 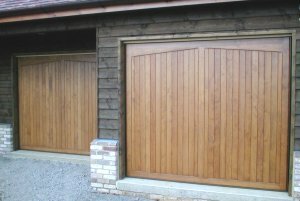 Unlike steel, GRP or Upvc timber can be repaired if damaged, and this is worth remembering when so many people dismiss timber purely because of the perceived maintenance required. 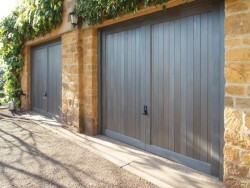 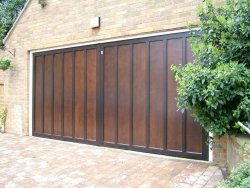 The natural variations is why we all love timber garage doors so much, if you do want continuity in the finish you will need GRP or laminate foil finishes on steel panels as these are nearly always exactly the same (from the same manufacturer of course). 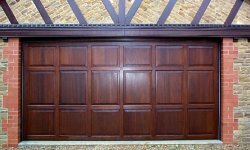 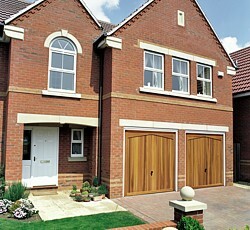 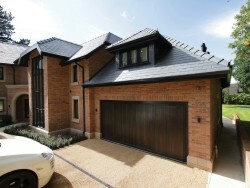 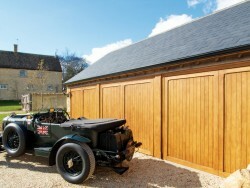 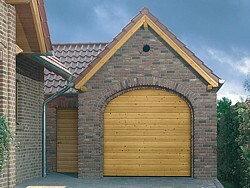 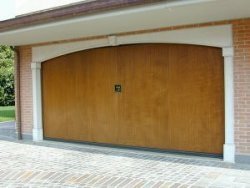 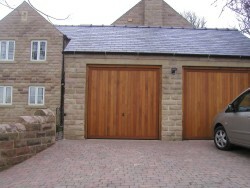 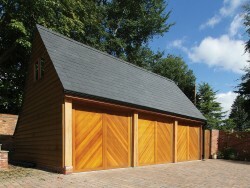 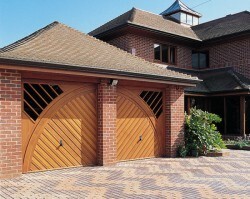 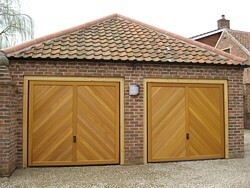 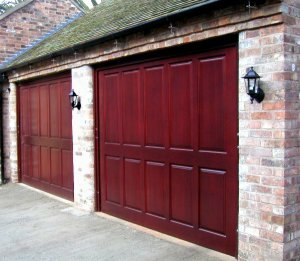 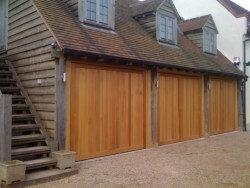 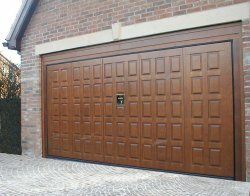 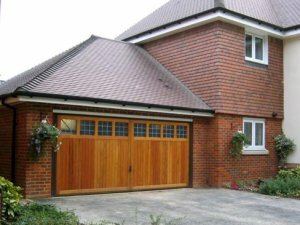 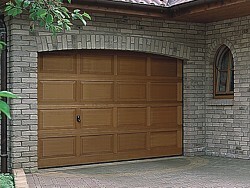 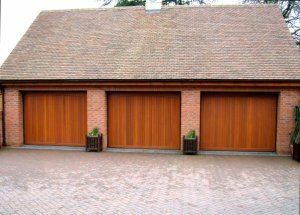 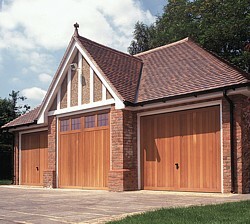 Some of the timber garage doors displayed below may not be available anymore or represent the exact style of current models produced.